Welcome back to our ATG Comic Reviews! I know it’s been a few months but a lot has been going on as you know, and so it’s been a while since we were able to visit our comic stores. However, I am glad to say that FINALLY, the ATG Comic Review has returned to Draxisweb! Sorry for the bit of ripping off the Rock there but I am in the middle of watching Wrestlemania while writing this up! So here we are again bringing you a review sponsored by Vibranium Comics and Games in Ocala, Florida. Be sure to drop by the store if you’re in town or be sure to check out their facebook page which is linked to the banner below for you! So our first of two reviews this week is a comic that’s based on Jim Henson’s Storyteller. This is a franchise that is soon to be resurrected on TV by Neil Gaiman. I remember watching the original show when I was a kid and always loved this so I was quite excited to see this crossing my path. 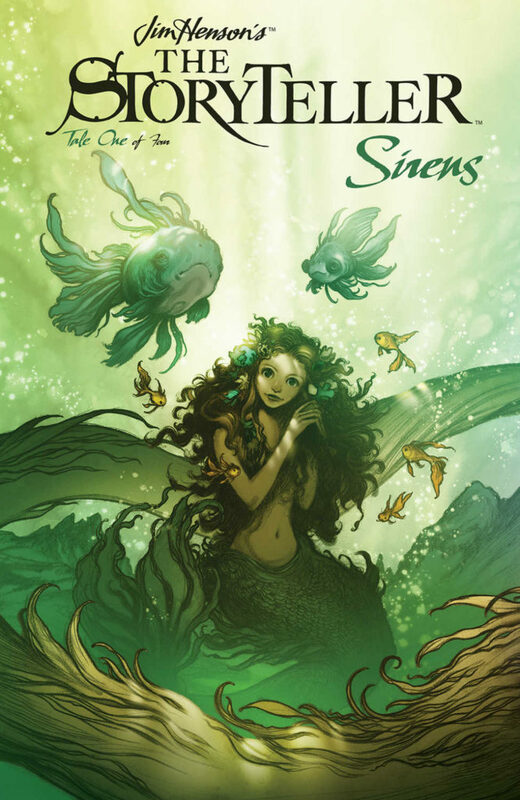 This comic was based around a fisherman and mermaids. It told a story of greed and loss with a good lesson that was being told to the talking dog that the Storyteller tells his stories to. The artwork wasn’t my favorite but it was a style that I’m alright with. The story itself I found fascinating and it kept my attention the whole way through. I especially loved the ending, finding it quite fitting for how it ran throughout. I am eagerly awaiting the next 3 installments that will finish off this 4 issue limited series. Have you guys ever seen the old Storyteller TV show and if so would it make you want to see this comic? Are you happy to see all of these Jim Henson revivals? Sound off in our comment section below and let us know. Also, remember if you like what we do and want to support us drop by Ko-fi.com/thalra and drop us a tip!